Hitchcock, my latest free WordPress theme, is now available to download from WordPress.org. It’s been a while since my last update, but I come bearing good news. Hitchcock, my latest free WordPress theme, has been released on WordPress.org. 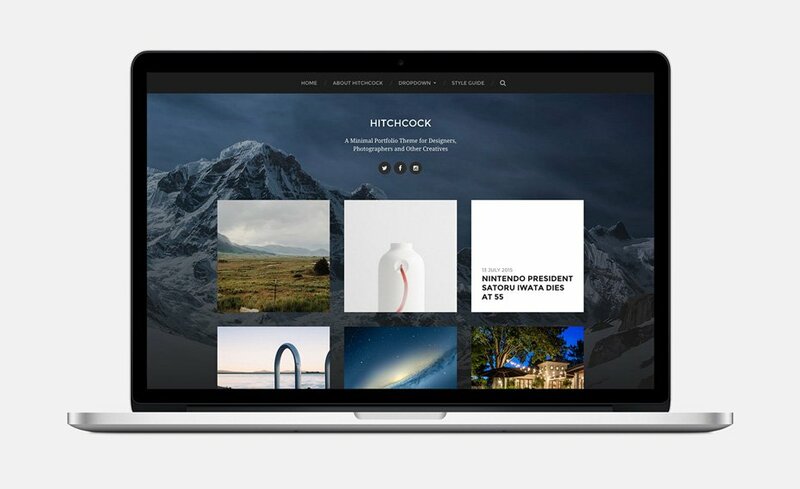 It’s a clean, simple theme that can be used as a portfolio, photo gallery or as a image-heavy personal blog. I’m pretty happy with how it turned out. Iwata, my other upcoming WordPress theme, hit a snag in the review process so it’ll be a little while longer. Not too long, I hope. Once it’s out, it will probably be my last WordPress theme for a while. I’m extremely happy with my new job at Odd Alice, but working 9-5 doesn’t leave a lot of time in the day for theme building. The number of great games that have come out in 2015 might have had something to do with it as well. I do have some plans for giving this site a much-needed refresh though, and while you should never put a date on these things, I’d like to have it out before the end of the year. That would be a nice way to start 2016. Update: Iwata is now live as well.